Odili Donald Odita was born in Enugu Nigeria and lives and works in Philadelphia and New York. Odita received an MFA from Bennington College, Vermont (1990), and a BFA (with Distinction, Excellence in the Arts Award) from the Ohio State University (1988). Odita is currently an Associate Professor of Painting in Philadelphia at the Tyler School of Art / Temple University since 2006; from 2003-2005, Odita was a Visiting Critic in Painting at Yale University School of Art; from 2000-2006, Odita was an Associate Professor in Painting at the Florida State University, Tallahassee; and from 2002-2003, Odita was a Visiting Associate Professor in Painting at the University of South Florida, Tampa. During the 1990’s, Odita was a critic for Flash Art International, and a consulting editor and writer for NKA, Journal of Contemporary African Art. Odita has had numerous one-person and group exhibitions nationally and internationally, including work in the 52nd Venice Biennale International Art Exhibition, curated by Robert Storr; DAK’ART 2004, the Dakar Biennale of Contemporary African Art in 2004, where he represented North America in the Diaspora section curated by Ivo Mosquita; the Contemporary Art Museum, Houston, Texas (2010); the Ulrich Museum at Wichita State University (2009); the Institute of Contemporary Art, Philadelphia (2008); the Contemporary Art Center, Cincinnati (2007); and his installation, “Equalizer” was the inaugural exhibition for the Project Space at the Studio Museum in Harlem (2007). Group exhibitions include The Geometric Unconscious: A Century of Abstraction at the Sheldon Museum of Art, University of Nebraska (2012); Magical Visions: 10 Contemporary African American Artists at the Mechanical Hall Gallery, University of Delaware (2012); ARS 11, Kiasma Museum of Contemporary Art, Helsinki (2011); The Global Africa Project, Museum of Arts and Design, New York (2010); and Wallworks, Yerba Buena Center for the Arts, San Francisco (2009). Odita’s most recent one-person exhibition opened on March 5, 2015 at the Stevenson Gallery in Cape Town, South Africa. Odita has completed wall painting commissions for the NYC Department of Education and the NYC School Construction Authority Public Art for Public Schools Program, in collaboration with the NYC Department of Cultural Affairs Percent for Art Program (2014); the George C. Young Federal Building and US Courthouse, Olando (2013); the Savannah College of Art & Design Museum of Art (2012); the New-York Presbyterian/Weill Cornell Medical Center (2012); the US Mission to the UN, New York (2010); Butler College at Princeton University (2009). Odita’s work is included in Vitamin P2: New Perspectives in Painting (2011), and Defining Contemporary Art: 25 Years in 200 Pivotal Artworks (2011), both published by Phaidon Press books. Awards received include a Louis Comfort Tiffany Foundation Grant (2007); The Thami Mnyele Foundation Residency Grant in Amsterdam for African Artists (2004); a Joan Mitchell Foundation Grant (2001); an ArtsLink Collaborative Projects Award (2000); and a Penny McCall Foundation Grant (1994). Ms. Oppenheimer is an artist engaged with the boundary conditions of spatial adjacency. She received a B.A. from Brown University in 1995 and an M.F.A. in painting from Yale University in 1999. Upcoming solo projects include 33-D, a double threshold at at Kunsthaus Baselland and a solo exhibition at MassMoCA. Recent projects include W-12302, an architecturally embedded permanent commission at the Baltimore Museum of Art (2012). Her work has been exhibited at venues including the Warhol Museum, Pittsburgh PA (2012), the Museum of Contemporary Art, San Diego (2009), Art Unlimited, Art Basel (2009), Skulpturens Hus (Stockholm), the Saint Louis Art Museum, the Mattress Factory, the Drawing Center and the Sculpture Center. She is the recipient of a Rome Prize Fellowship 2011-12, a Louis Comfort Tiffany Foundation Fellowship 2009, a Guggenheim Foundation Fellowship 2007, an American Academy of Arts and Letters Award in Art 2007, and a Rema Hort Mann Foundation Fellowship 2003. 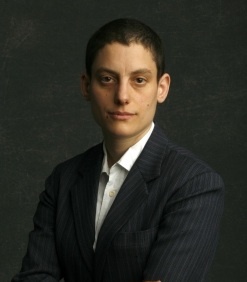 Ms. Oppenheimer joined the Yale faculty in 2003 and was appointed critic in painting/printmaking in 2005.